Eric received his mediation training at the Loyola Law School?Center for Conflict Resolution in Los Angeles. He is now the Director and Primary Mediator at South Bay Mediation. After graduating from Pepperdine University, he attended graduate school at Cal State Northridge and was trained as a behavior therapist while earning his Masters in Psychology. Eric has worked more than 20 years as a Behavior Specialist skilled with intervening in disputes and de-escalating conflict. As a divorce mediator, Eric understands you. He was involved in mediation from the client perspective during the dissolution of his own marriage many years ago. With these experiences, he realized that legal conflicts do not need to be fought as a winner-take-all battle where the parties are dehumanized. Since then, he has developed a very successful mediation practice, specializing solely in divorce and family law matters. Divorce and child custody issues often require high levels of therapeutic skill to find agreement in the midst of emotional turmoil. 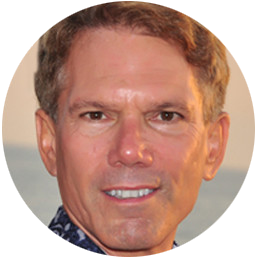 Utilizing his experience as a therapist, Eric is highly effective in mediating divorce and other emotionally stressful family conflicts. As a divorce mediator, Eric has guided more than 200 clients to resolution and settlement. Helping people through mediation has become a passion for me. I have been through the painful process of litigation and divorce. I know how emotionally and financially damaging legal battles can be. I also have seen the power of mediation to discover solutions that maintain everyone’s dignity while working through a painful conflict thus allowing all parties to get on with their lives. Throughout the years, clients have had excellent experiences with Eric and South Bay Mediation. Take a look at what some of our satisfied clients have to say about us.